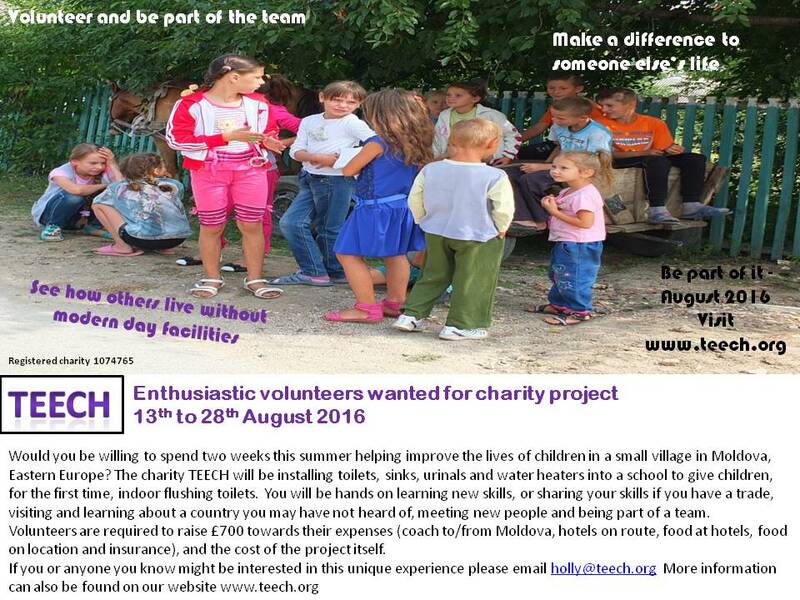 TEECH are now in full swing planning for the summer project which will be in the village of Ivancea, Moldova. The village has one high school and one kindergarten. The team of volunteers will be working at the high school turning what can only be described as 'challenging' rooms into bathrooms for the boys and girls. The charity will be working with the school over the coming months to do alot of preparation work because walls need to be removed, others repaired, windows replaced and general clearing of items from the rooms. The school is connected to main water, therefore it will be a connection from the inlet to the new bathrooms for TEECH to undertake, along with the installation of toilets, hot and cold water, septic tank, urinals, sinks, flooring, tiling, painting and many more tasks. We will also be taking clothing, toys and general aid to the village (plus two neighbouring villages) therefore if you are able to donate any good quality clothing (particularly children's) please get in touch and send it through to us. We are also looking for paint of lots of different colours so that the team can paint murals at the school. If you would like to sign up then we advise contacting us soon because interest is high this year and we don't want anyone who is interested to miss out. The picture to the right is just part of the rooms we will be using. Any old sinks or toilets which are in the school have not been used since the Soviet days, therefore do not work and need to be totally replaced. 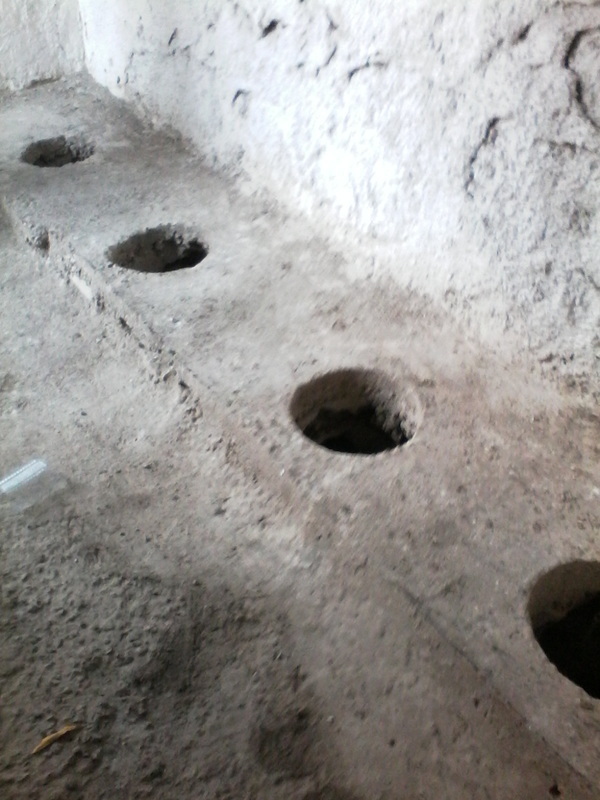 The picture below shows the toilets currently used, which are outside in a small brick building a few hundred yards from the main school building. The project poster can be downloaded to the right if you would like to support us and help spread the word. The next packing date is Saturday 13th March.